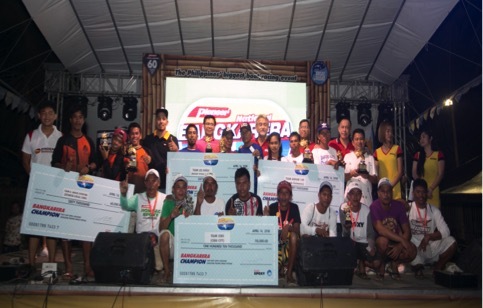 Boat-racing teams from the Visayas emerged victorious at the 3rd Pioneer National Bangkarera which was held in Villa Beach in Arevalo, Iloilo City. 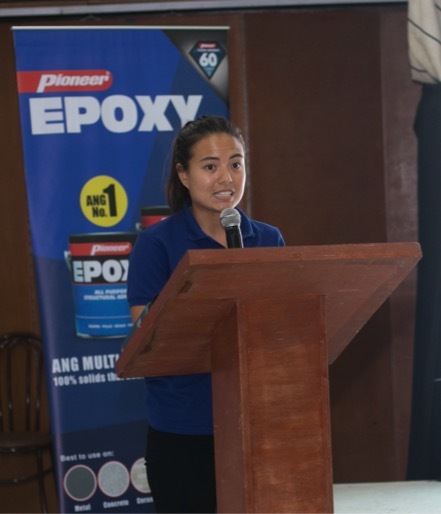 The annual event wasn’t just a win for the Visayas teams; it was also a successful run for Pioneer Epoxy in cooperation with Angat sa Dagat® Organization, as the third installment attracted a total of 58 teams and 155 boats—a marked increase from the previous year’s turnout. “This tournament was designed to strengthen the camaraderie among boat racers nationwide, all of whom make a living as fishermen and boat makers,” said Alben Manuel, Group Product Manager - Epoxy Cans of Pioneer Adhesives, Inc.
“By staging this annual national event, we’re giving our local fishermen and boat makers a platform where they can showcase their skills. It’s also our way of giving back to all the members of their community, who have been using our products for the past 60 years,” he added. Team Cebu Racing from Cebu City topped the 16-18 hp category, followed by Team Aranicole from Hagonoy, Bulacan and Team Alaska Sibugay from Naga, Zamboanga Sibugay, in second and third place, respectively. The 7 – 7.5 hp hp division saw Team Overtime (G-Brosis) of Estancia, Iloilo win first place, followed by Team Bianes from Pontevedra, Negros Occidental in second, and Team JRS of Liloan, Cebu in third. In the 18 hp & below ASD (Angat sa Dagat®) category, Team Los Niňos from Ivisan, Capiz bested Team Batabat of Tibiao, Antique. Unisan Racers from Nueva Valencia, Guimaras finished third. Meanwhile, in the paddleboat division, Team Adrian emerged in first place, followed by Team Guimaras and Team Iraya Tando (Faith) in second and third place, respectively. All paddleboat category winners are notably from Nueva Valencia, Guimaras. “We intend to highlight National Bangkarera as an annual sport that the country can look forward to. We will continue to hold the races in different venues and increase the fan base,” Manuel said. The two-day event was held on April 13-14, 2018. Over Php 1 million in cash and product prizes were given away. The first Pioneer National Bangkarera was held in Puerto Princesa City in 2016, where 27 teams and 60 boats joined. On its second run in Dumaguete City, Negros Oriental, participation increased to 40 teams and 96 boats.